Today we were treated to a look at the upcoming Intro Packs and Event Decks for Avacyn Restored, thanks to our friends at MTGSalvation. Enjoy! Those event decks look like Zombies vs Pope-man. Seriously looking forward to seeing the angels and demon(s). My Kaalia, angel, and demon decks don’t need an overhaul, but I’m always looking for fun improvements. Hmm, I think I’m most curious about Wolfir Silverheart. Since they’ve said there’ll be no dual-face cards, could this be a “permanently-werewolf” werewolf? I wonder when the spoilers will start. We’ve already had Avacyn, but there are many more cards to be revealed! I’m especially curious about Griselbrand. Monday according to what I’ve read. I’m curious to see how the Bound by Strenght Deck will work. I really liked the last Green and Blue deck (Grave Power).I found it fun, interesting and original, principally making this two opposite colors work so well. Hope this one won’t disappoint. And can we expect a new Planeswalker? I hope so! It would be nice to see a Planeswalker with a style similar to Dark Heavens from DotP2012. For me, a character like this one would represent the Innistrad plane very well. I know we already have Sorin, but I think he represnts more Zendikar than Innistrad. What do you think of miracles? Waiting until soulbond is explained to form an opinion. Miracle seems quite powerful. Especially in this case, since red isn’t known for drawing cards. Soulbond seems a tad interesting. The Paladin would fit nicely in my Knight deck. Griselbrand is utterly lovely. I’m not too sure how I feel about the Miracle cards: I have a feeling blue will abuse them to no end, in every format bar Limited. Temporal Mastery is crazy. Grisel looks cool for EDH. The Miracle cards just feel insane, but thankfully, they have to be the first card drawn or else it’s full price. Someone made the comment somewhere that if you draw the Time Walk miracle on your first or second turn, all you’re essentially doing is casting a Rampant Growth. They’re also horrible in your opening hand. Flashiness aside, I think there’s a very subtle balance here. Interesting stuff! But it’s a rampant growth that also prevents your opponent from dropping a land, casting creatures or attacking. Sure, a time walk on your second turn is not ideal, but Is there a situation where you’d want to have a 7cc spell clogging up your hand instead? Do you have any idea when the card gallery will be available on the Magic.com? Thanks. It wasn’t showing in the card list in the portuguese version. More news on the pre-con front, the intro decks now have nice little descriptive blurbs. Angelic Might-Dawn arrives on white wings! The flights of angels under Avacyn’s command are your weapons, carrying divine retribution to your enemies. The “Angelic Might” deck unites celestial shepherds and their earthly flock. Bound by Strength-The allies of Avacyn reinforce each other’s convictions. With the “Bound by Strength” deck, use the new soulbond mechanic to bind together creatures of divergent natures. They will lend each other power against your foes. Fiery Dawn-The light breaks through Innistrad’s clouded sky. Humanity seizes the moment and races to drive back the darkness. Reclaim what’s yours with the “Fiery Dawn” deck, an aggressive deck that channels your zeal. Solitary Fiends-Direct the theater of war and put a deadly force center stage. The “Solitary Fiends” deck contains spells that clear the way for your singular threats to dominate the scene. The battle is yours to control. 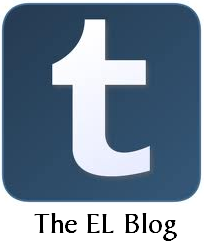 “He is judge, jury and executioner because he killed them all.” -Bishop Cawle of Elgaud. Hope the Angel one has that angel Gatheringmagic previewed today in it. Though, I doubt it’ll be expensive at all to gnab as a single. Really hoping they reveal the next DD soon now that we know the first set of the next block’s name. Strangely, I hope it doesn’t have a RW deck. Would love something different. 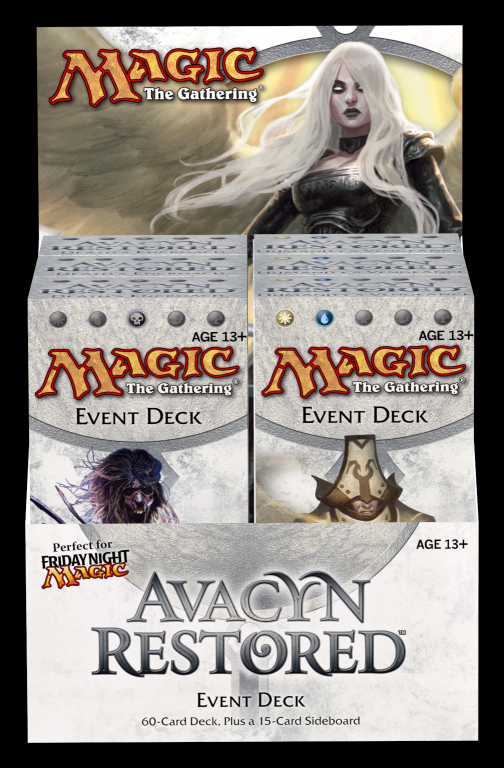 As a relative newcomer to Magic, I’ve been thoroughly enjoying the entire block but so far Avacyn Restored seems like it’ll be a blast! However, I must admit I’m a little less excited for these intro packs. It might be that, from their description at least, they seem a bit more “simple” in nature than the likes of Eldritch Onslaught, Grave Power or Dark Sacrifice. I trust the feeling will fade away when we actually get to see the decks and what strategies they use… I must say I wonder how Solitary Fiends will really work out. What does a deck that likes a lone creature on the board do with other creature cards in hand? I’ll take a stab and guess it has this block equvilant of Giant Growths. Stuff that buffs one creature. I don’t think it’ll be a case where it wants only 1 creature out. Could be wrong though. This block looks to be as good as Rise of Eldrazi, my other favorite block. The mythic rare angels and intro packs look amazing, and miracle+fateful hour= a BS deck that actually might work, my dream during the time I’ve played magic! This is saying something, considering only 48 cards have actually been spoiled so far. Hearld of War looks awesome. Too bad it’s CMC is a little too high for my Angel deck. Could replace Serra Angel with it, but I like ’em too much. Might be worth an EDH look though.